/Welcoming Mobile Phones into Cinemas – Yay or Nay? 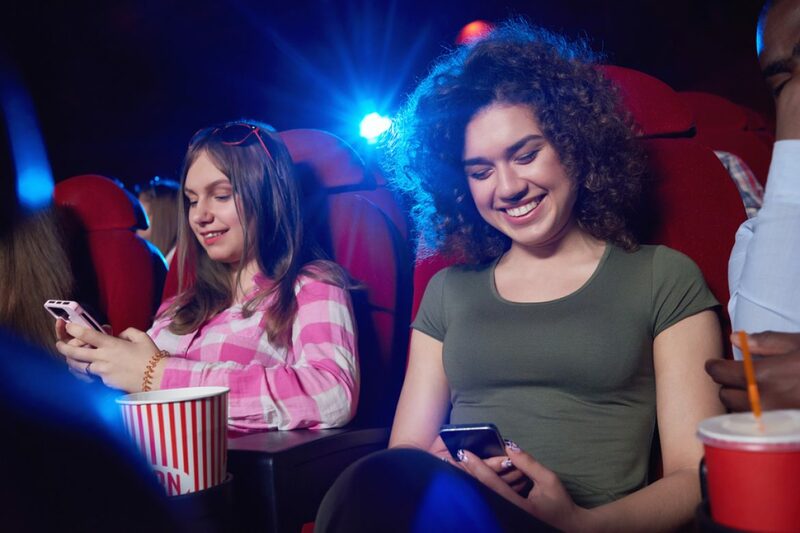 Nothing is more annoying than sitting in a movie theatre and being distracted by a ringing phone or someone checking their text messages… right? That’s why cinema etiquette unanimously directs people to turn their mobile phones to silent. But at the recent 2012 MultiScreen Summit, there was much talk about welcoming mobile phones into cinemas. Allowing the use of smartphones and other mobile devices at the movies may seem to go against all conventional wisdom. Theatre owners might balk at the prospect, but Peter Wilson, Director of High Definition and Digital Cinema, has different opinions. The 2012 MultiScreen Summit, which aimed to examine the dynamics between distributors, devices, screens and content creators, offered some unconventional advice to the cinema industry. At the Summit, Peter Wilson identified untapped potential in the form of a second screen inside movie theatres – the mobile phone. Advertisers are struggling with the fact that around 50% of the money spent on advertising is wasted. And although advertising on the cinema screen has proven to be more successful than traditional TV commercials, no one likes throwing their money away. In today’s age of technology and 24/7 connectivity, young moviegoers are going to take their mobile phones to the cinema and they are going to use them – so why not exploit this? Of course, mobile phones should not interrupt the viewing experience. But advertisers could make clever use of the presence of mobile phones during pre-movie ads. Since the audience at a cinema is captive, it’s a good opportunity to build interest in your product or build a consumer database. You might be wondering how this translates into real-world examples. Well, it’s surprisingly simple. For example, moviegoers could be asked to fill out questionnaire/survey on their phone in return for free popcorn or a drink. They could also download clips from new films, or they could even be given the opportunity to purchase tickets for upcoming releases. No cinemas have adopted this rather novel approach to advertising as of yet, but given the way that mobile technology is evolving, tapping into the potential of the second screen could be inevitable.